Ronnie Green explores a side to fishing that isn’t always about catching fish in his hit World Fishing Network show A Fishing Story with Ronnie Green. But don’t be fooled into thinking he’s not a world class angler. 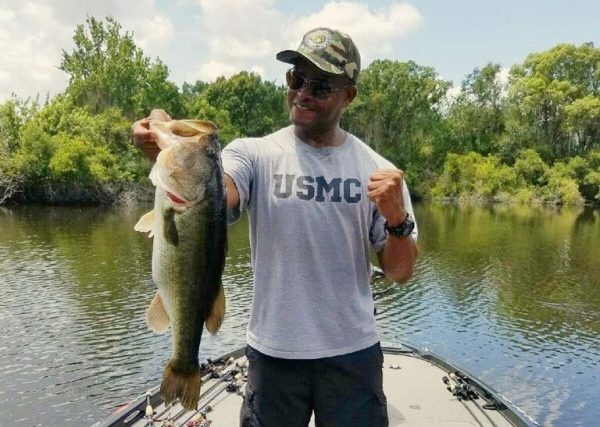 With a deep love of bass fishing especially, Green honed his skills competing in tournaments and hitting every backwater he could find so that day he hosts his own fishing show. Here are five of Ronnie Green’s top five must-have gear items every time he goes fishing. Full disclosure: they are also sponsors. Plastic worms are the mainstay of any freshwater fisherman. For Green’s top choice he goes with the Gary Yamamoto Senko brank of artificial worms. Lots of rod and reel combos to pick from, but might as well go with a trusty brand in Abu Garcia. At the top of the line is the Revo Toro Beast reel at $400 all the way down to the Cardinal spinning reel at $29. Safe and secure boating is an essential part of any fishing trip. For a shallow ater anchoring system that’s unique and versatile, Green recomends the Power-Pole, which positions near your outboard engine and drives a spike into the ground behind the boat. In this way you are clear to cast freely and float the boat 360 degrees like a normal anchor. Spend enough time on the water and you start to realize why Mercury Marine engines are one of the most trusted names in outboards. The company’s new crop of fourstrokes are said to be tougher, smaller and lighter. But what’s most important is they are reliable. For fishing line, Green goes with Trilene. A leader in flurocarbon and monofilmaent, Trilene fishing line has been a trusted brand for generations.